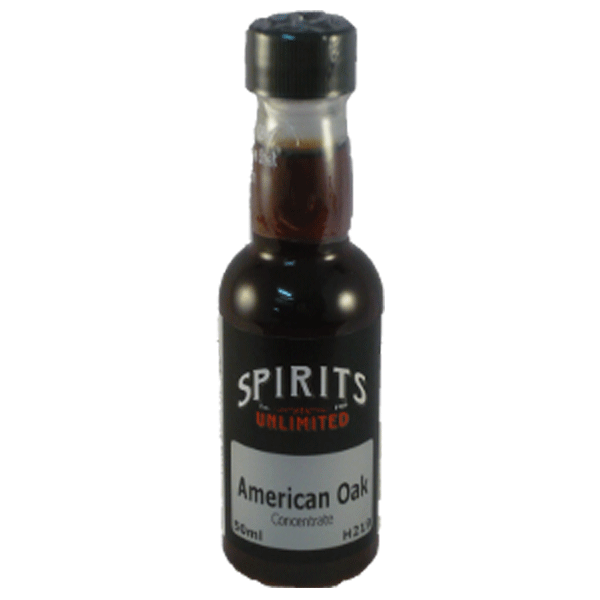 American Oak cocentrate – spirits unlimited. The oak infusion is clean and easy to use. Infusion spirals provide simple and fast extraction of a charred oak aroma and flavour at a fraction of the price of a barrel. The oak infusion is clean and easy to use. Infusion spirals provide simple and fast extraction of oak aroma and flavour at a fraction of the price of a barrel. 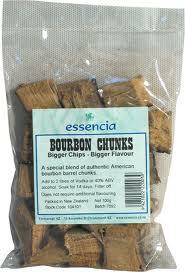 The Bourbon barrel chips that can actually produce Bourbon, as opposed to merely oaking the spirit. Samuel Willard’s Bourbon Soakers are simple to use. Add aprox 20 grams to 1 litre of filtered alcohol and allow to sit for 5 days. The Oak infusion spiral is clean and easy to use. Infusion spirals provide simple and fast extraction of oak aroma and flavour at a fraction of the price of a barrel. 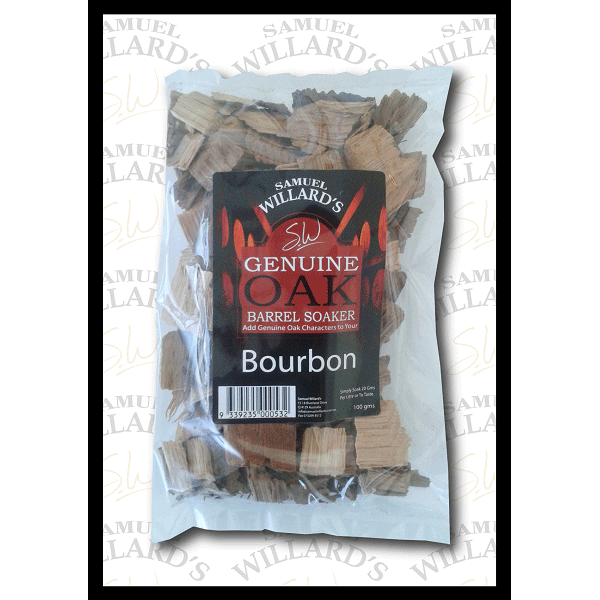 Authentic gobbler bourbon chips to help imitate a wild turkey style taste. Made from real bourbon barrels. 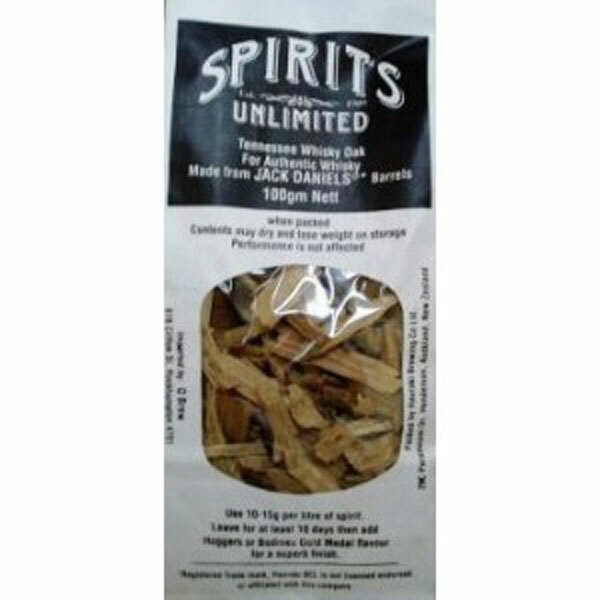 Spirits Unlimited Tennessee Whisky Oak chips are made from original Jack Daniels* barrels. 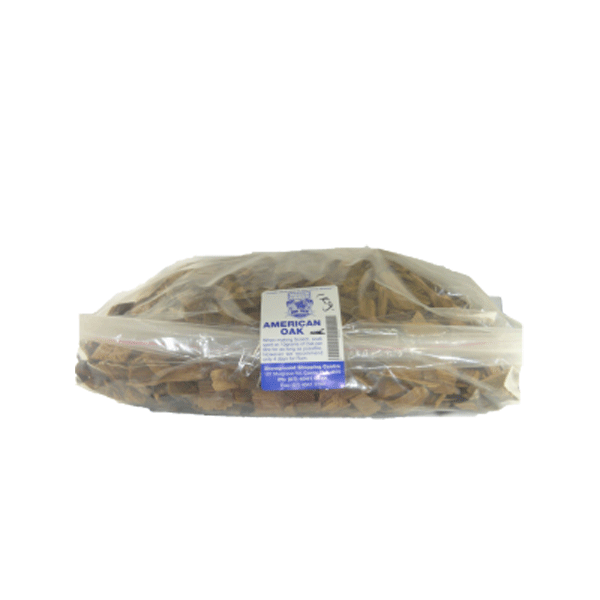 Authentic Kentucky bourbon chips to help imitate a Jim Beam (Kentucky) style taste. 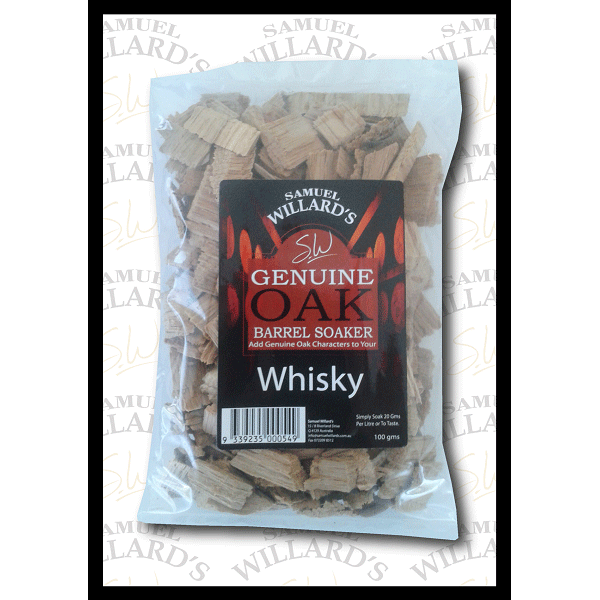 As the name suggests,this is a mature oak flavour, use it for either full whisky profiling or to add an oak flavour to another whisky essence. 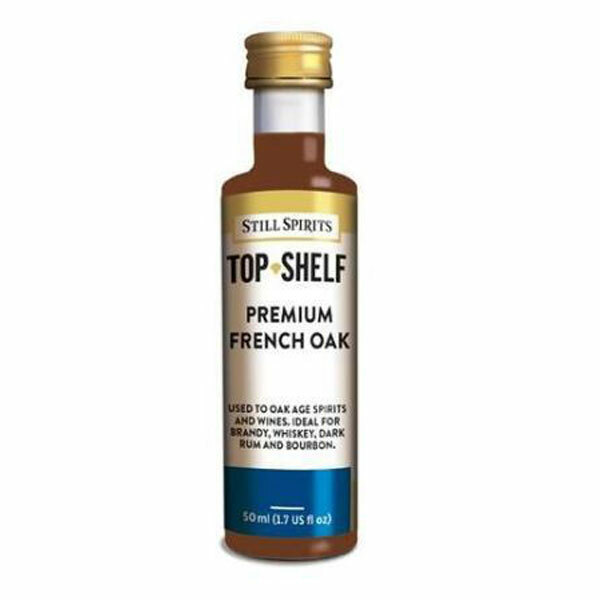 Add 1 – 4 ml per 700ml to enhance and improve the woody oak, aged characterof your favoriteclassical spirits. Used to Oak spirits and wines. Ideal for Brandy, Whisky, Rum and Bourbon. 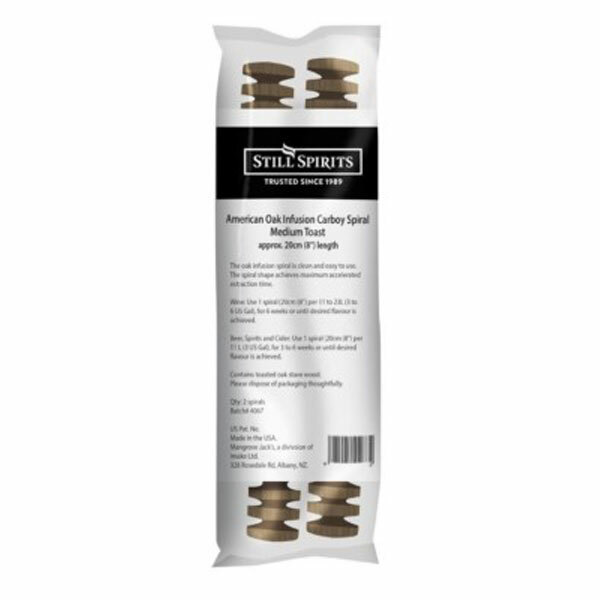 Add 1-5ml (two essence bottle cap fulls) per litre of spirit, allow to age for 7-10 days. 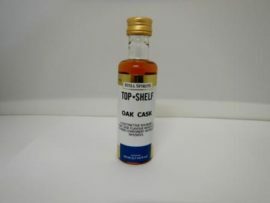 Use to Oak age spirit and wines. 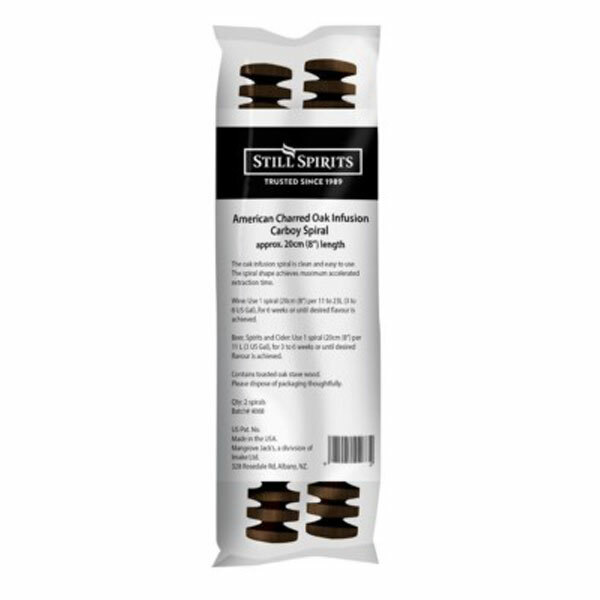 Ideal for Brandy, Whisky, Dark Rum and Bourbon. 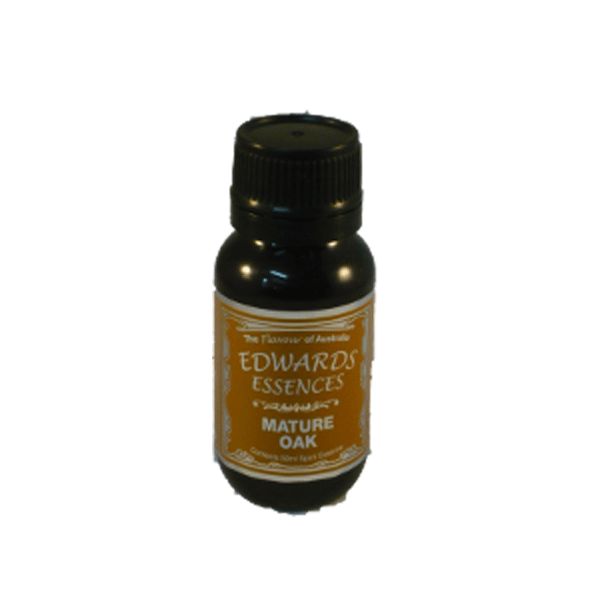 Add 1 – 5ml per litre depending on taste. 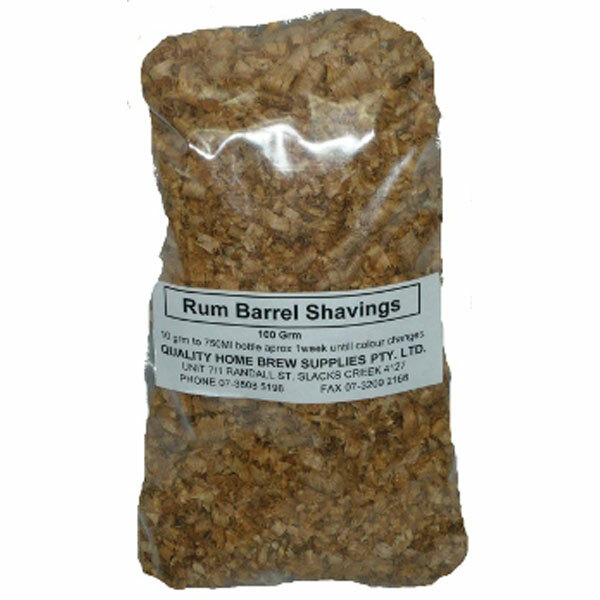 Real rum barrel shavings for real taste. A must for the serious rum makers. Rum Soakers. 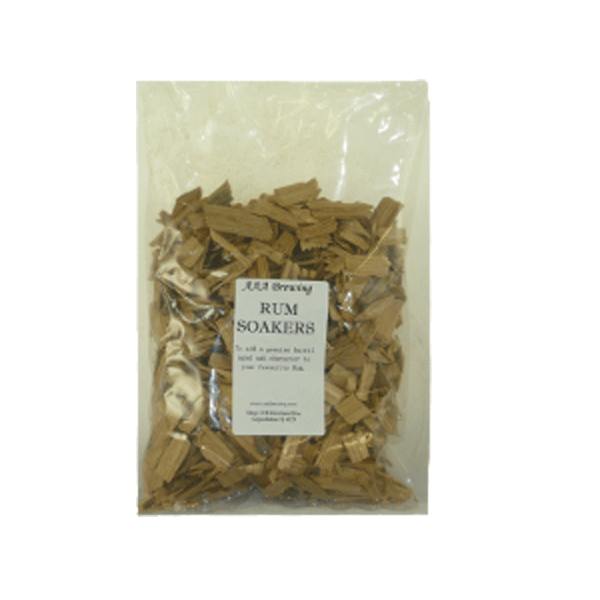 To Add A Genuine Barrel Aged Oak Character To Your Favourtie Rum. Rum Soakers are so easy to use. Simply add around 20 grams to 1 litre of filtered alcohol and allow to steep for 5 days. 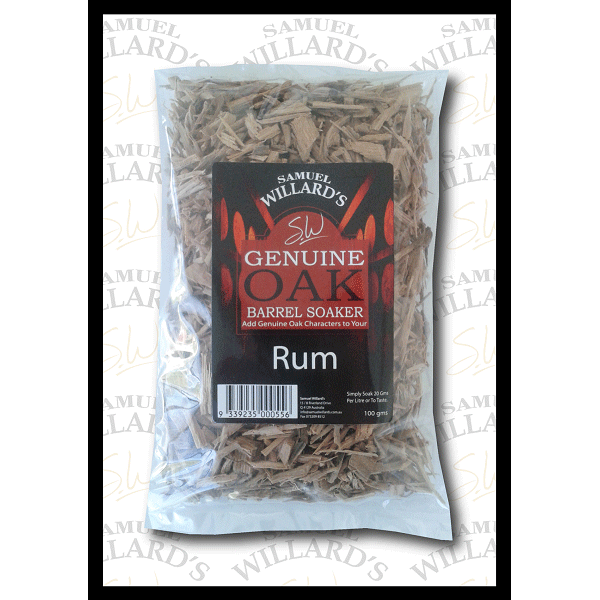 Samuel Willard’s Rum Soakers are simple to use. Add aprox 20 grams to 1 litre of filtered alcohol and allow to sit for 5 days. 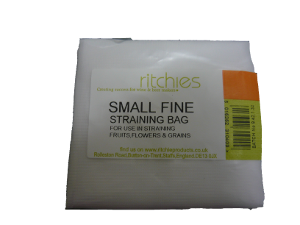 REUSABLE nylon straining bag for straining fruit wines, adding flavoring to wines by placing fruit, oak, or other additives within bag in wine. Southern Malt Whisky Oak, Made From SOUTHERNER Barrels. Use 10-15g per litre of spirit. Leave For 10 Days Then Add essence to taste. Made From genuine Bourbon Barrels That Have Conatained Actual Bourbon For A Minium Of4-8 Years. Used to imitate a Jack Daniels (Tennessee) style bourbon. Recommended Usage: 50 Grams To 2 Litres Of Spirits For 10 Days. 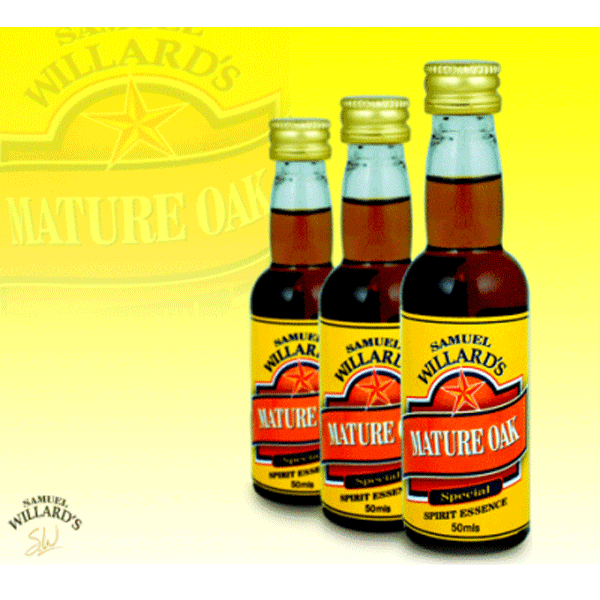 Want that authentic American oak taste? Well look no further. Real American oak chunks from real oak barrels. Used to oak Scotch Whisky, Port, or for short periods (4 days max) Rum! 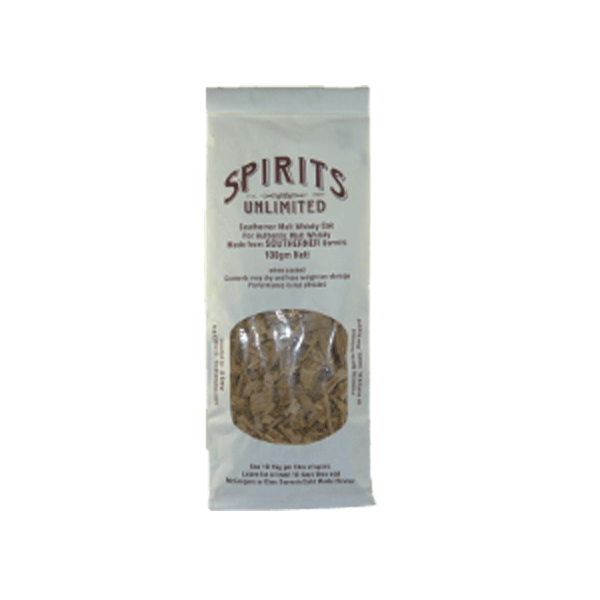 Use 1o grams per litre of spirit. Sourced From a Cairns Local Supplier. 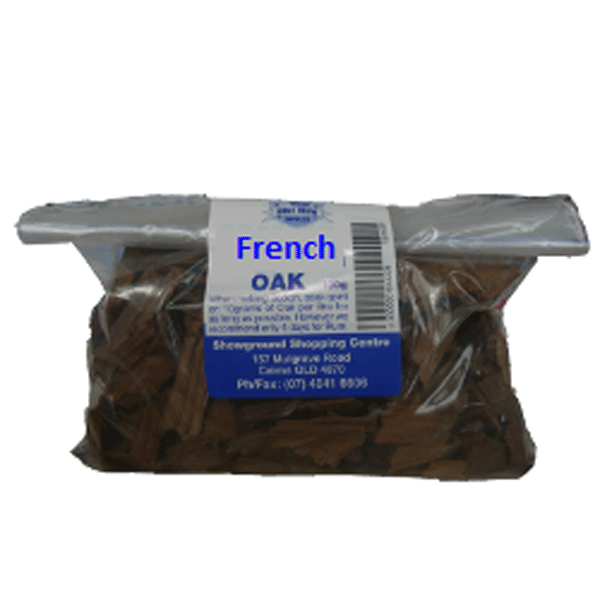 Real French Oak chunks from real oak barrels. 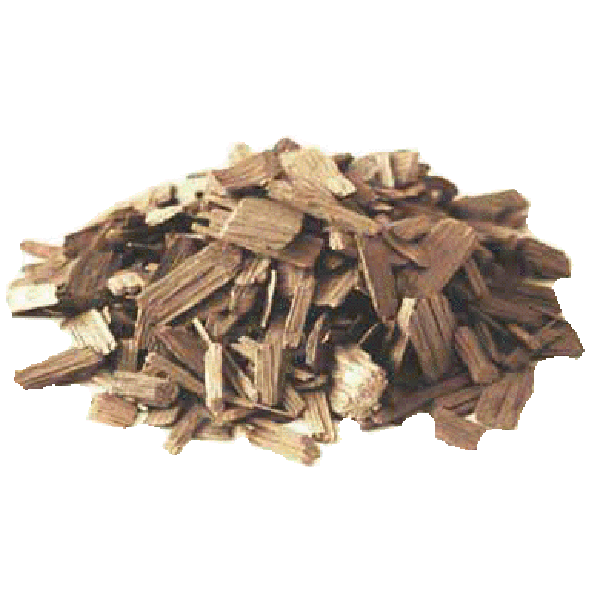 Used for Smokey Bourbons, or to oak Scotch Whisky & Ports. Whisky Soakers. 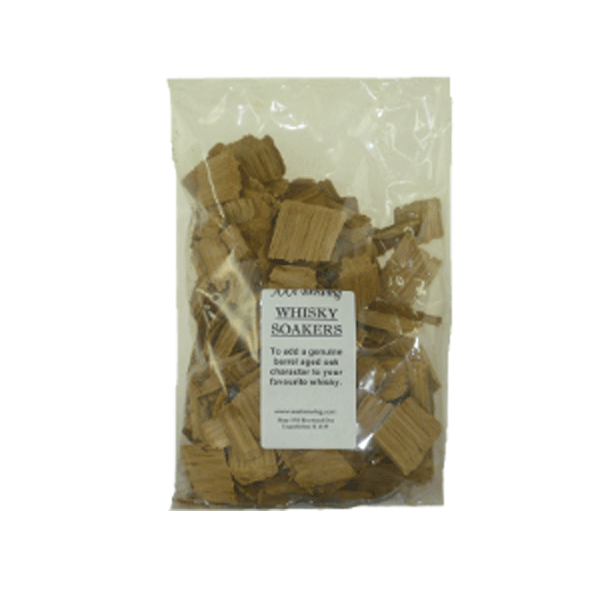 To Add A Genuine Barrel Aged Oak Character To Your Favourtie Whisky.Whisky Soakers are so easy to use. Simply add around 20 grams to 1 litre of filtered alcohol and allow to steep for 5 days. Samuel Willard’s Whisky Soakers are simple to use. Add aprox 20 grams to 1 litre of filtered alcohol and allow to sit for 5 days.